Hello and Welcome! 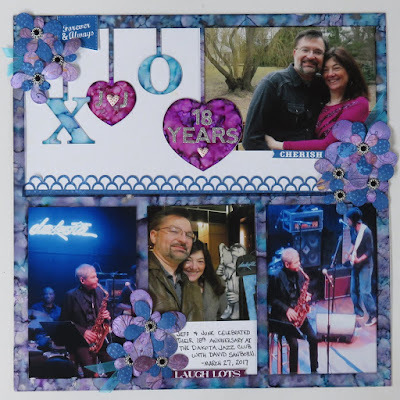 It's our final day for our cross promotion with our friends over at Clear Scraps and we will have two blog posts with projects to feature today from June and Rhonda. June here, bringing you more blog-hopping fun with Quick Quotes and Clear Scraps. Hope you have been enjoying all the great inspiration and projects this week. 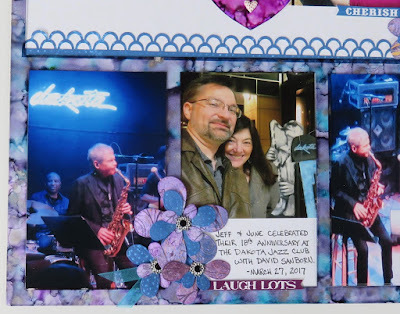 Print 4 photos using Cannon's Selphy CP1200 printer. Trim to fit. 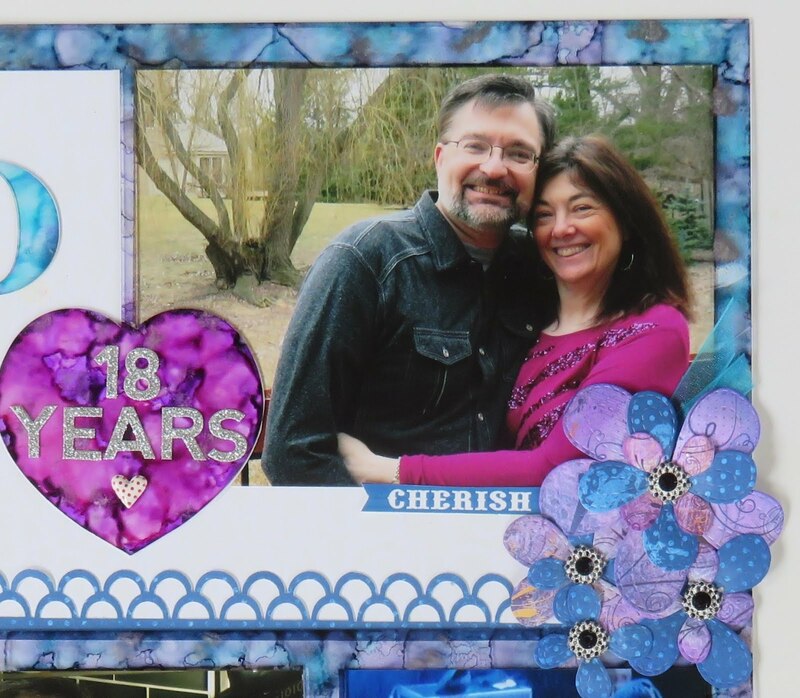 Cut a loopy border from Quick Quotes' Mulbury 103 and edge with Royal Blue PowderPuff Ink. Die cut 2 large, 9 medium & 9 small flowers out of Quick Quotes' Mulberry 102 & 103. Edge with Royal Blue & Violet PowderPuff Inks. Layer, glue them together and add gem centers. Adhere flowers and word phrases from Quick Quotes' Mulberry Quotes & Phrases sheet in 3 clusters around the page. Add silver glitter letters to hearts for the title, and add journaling. Done! See, fast and easy. One of the best things about this process is that you can customize everything to fit your photos. Look at how well the Clear Scraps' frame matches the Quick Quotes Mulberry papers and the photos! 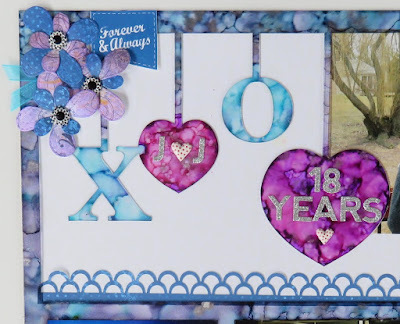 Be sure to stop on over to the Clear Scraps Blog next to see some fabulous inspiration from Angel! Thanks so much for stopping by, and happy hopping!